Life with Liv: What You Need to Make Your Own Bread at Home. What You Need to Make Your Own Bread at Home. Bread flour – You should be fine with normal supermarket flour, but you can experiment a little when you’re feeling more adventurous. Yeast – This is what will make the bread rise. You can get fresh yeast although fast action yeast usually works just as well. Warm water - the water must be warm to activate the yeast. A good ratio is 1/3 freshly boiled water to 2/3 cold water. Salt - This helps keep the yeast under control and also adds a little taste to the bread. Sugar - you don't need to use sugar but it can help add a little more taste. Eggs - not technically necessary but help to bind everything together. Some people like to use them, some don't. Butter - like eggs, some people use butter, some don't. It can add some flavour and can make the bread more moist. This is only the ingredients for a standard loaf of white bread. 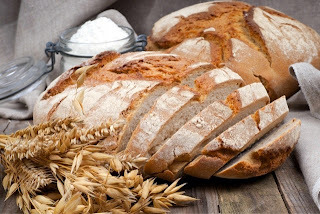 There are a huge number of different types of bread, as you can see here, and all require slightly different ingredients, although most will still use the above as a base. A good set of scales – You can’t get by without a good set of scales, especially when weights need to be precise. A dough scraper – You can get these dirt cheap but they are incredibly handy. They’re good for mixing and also for scraping up bits of dough. A surface to work on – Essential really. You need a flat surface, ideally cold so the dough doesn’t stick to it, and sprinkle it with flour, again to stop sticking. A mixing bowl – If you don’t want to knead the dough straight on the worktop then you can do it in a bowl. Once it’s kneaded, you can leave it in the bowl with some Clingfilm over the top to proof. A bread tin – If you want that perfect bread shape then you’ll want to pop it in a bread tin to proof and cook. You can get various different shapes and sizes of bread tin depending on what you want your bread to look like. Of course, if you’re feeling lazy or don’t have the time then you can use bread packet mixes or a bread maker. There’s really no shame in doing it this way and you can make some really delicious bread. Bread makers are pretty good at producing a good loaf and the ones here at Electric Shop will more than do the trick. If you’ve got all your ingredients together then it’s time to actually go ahead and make your bread. 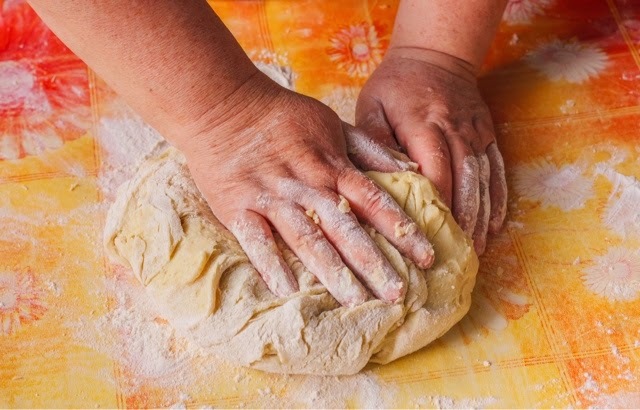 Here are a number of different great recipes depending on what type of bread you want to make. Brought to you in association with Electric shop. Great Wedding Anniversary Milestone Gift Ideas. Coping with a Family Member who’s had a Stroke.